Establishing the crack resistance curves and the rupture modulus. These methods allow better conclusions to be made regarding the material behavior in components than this was previously possible. The material characteristics obtained by means of the COD and J-integral method can be converted to KIc values. 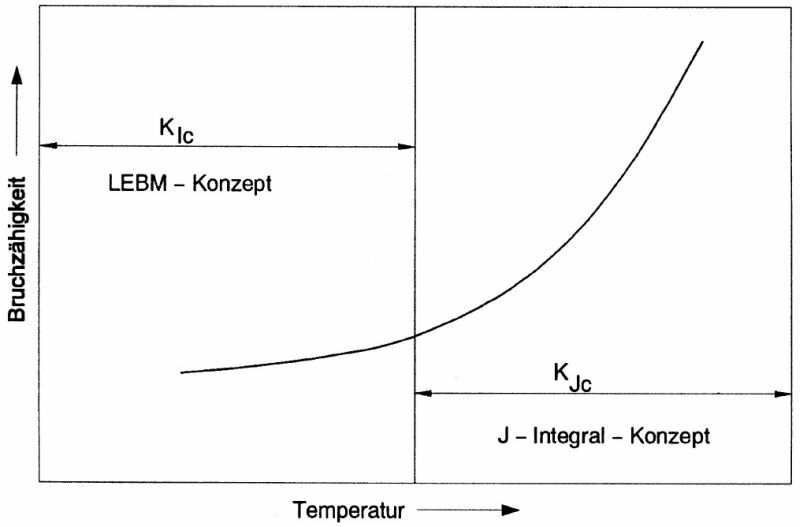 When describing the temperature dependence of fracture toughness for ductile materials, it has been common to indicate KIc values in the lower temperature range and KJc or KQ values (COD) in the upper temperature range, without separating the two (Fig. 1). The fracturing properties of high-graphite cast iron materials are considerably influenced by the quantity, form (see Graphite form) and size of the graphite particles, by the structure formation and also by the chemical composition of the metal matrix. for flake graphite cast iron up to 630 N/mm3/2.